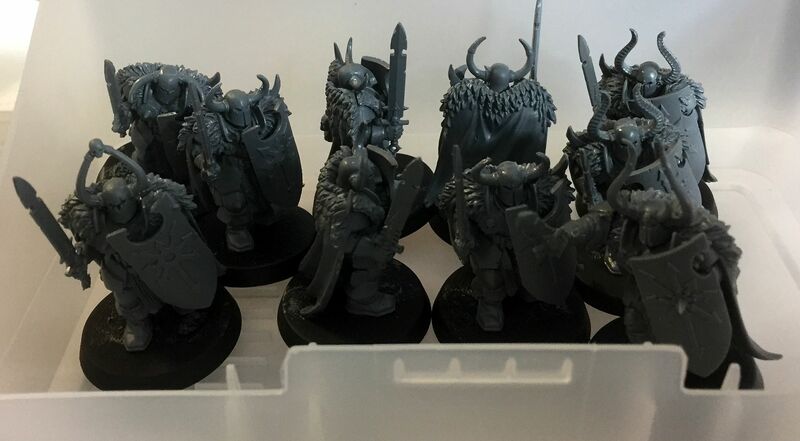 Sons of Taurus: Back to the workbench! After a while of not doing much modelling or painting I'm getting back into the swing. 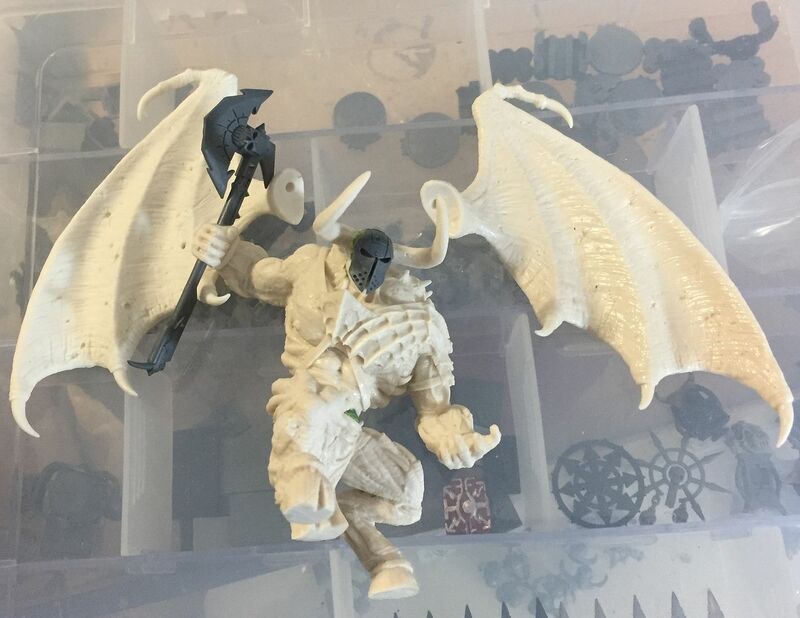 I picked up this fella on ebay and added the mask and axe and plan to use him as Lord Taurus, ascended leader of the Sons of Taurus renegade marines. The listing said it was from Creature Caster, but I haven't been able to verify that. Anyone recognize him and able to point me to some confirmation of origins? I'm also bulking up the Scythiak Usurpation . Above are my unimaginative Crusaders. Very on the nose perhaps, but pretty much fit perfectly how they're supposed to be equipped (heavy armor, storm shield, power sword) and fit with the aesthetic already established with the marauder rough riders and use of fantasy chaos heads elsewhere. I plan to put them and a priest in a twin heavy flamer Chimera and go try to fry and dice some loyalists. Sonofsonsoftaurus has also been busy, assembling mostly on his own (I did some trimming of flash and sprue remainders) a Primaris Apothecary and an Ultramarines herald/ancient. 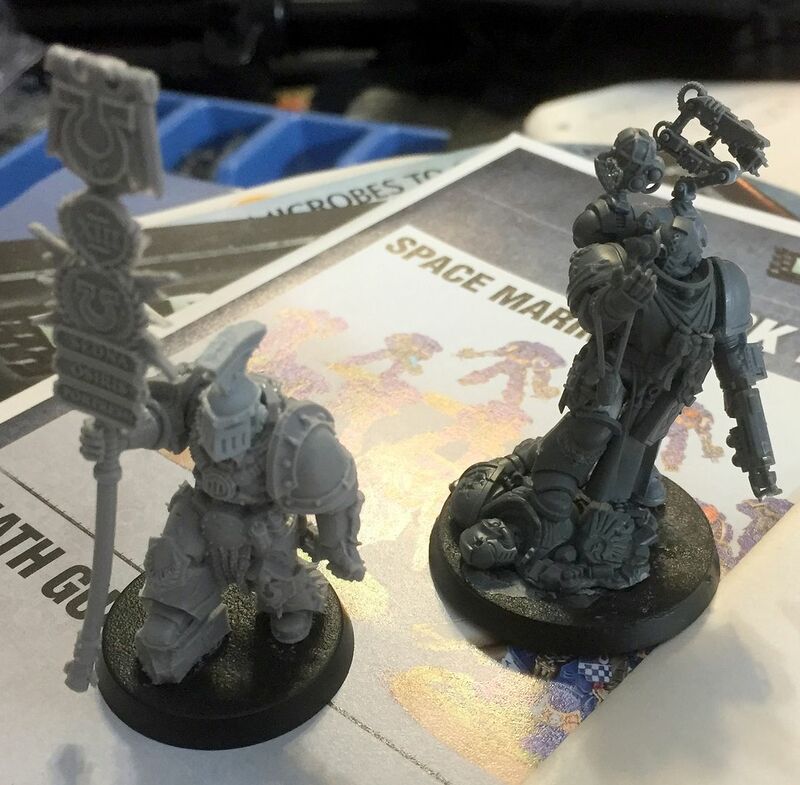 The head on the herald is from a different heresy kit (MKIII command I believe). Cape/backpack left off of the herald for painting. That Apothecary has a bunch of tiny pieces. If I get one myself I may have him and his small hands build it for me. Ultraforge War Demon right there. Bit of a late comment, but as always, love your stuff. 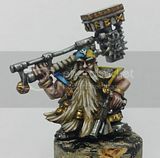 I always wanted to run some WoC as Chaosy 40k somethings.